1933. Marlboro Press. Paperback. 371 pages. Exploring and sporting expedition, under experienced guidance, leaving England June, to explore rivers Central Brazil, if possible ascertain fate Colonel Fawcett; abundance game, big and small; exceptional fishing; ROOM TWO MORE GUNS; highest references expected and given. The Colonel Fawcett mentioned in the ad was an explorer who famously disappeared in Brazil along with two other men in 1925. Fleming doubts that the advertised expedition, undertaken seven years after Fawcett’s vanishing, will unearth any new information, but is compelled to apply all the same in the role of a correspondent to The Times. In treating of the Great Unknown one has a free hand, and my few predecessors in this particular field had made great play with the Terrors of the Jungle. The alligators, the snakes, the man-eating fish, the lurking savages, those dreadful insects – all the paraphernalia of tropical mumbo jumbo lay ready to my hand. But when the time came I found that I had not the face to make the most of them. So the reader must forgive me if my picture of Matto Grosso does not tally with his lurid preconceptions. Indeed, the most significant obstacle turns out to be the expedition leader himself, Major Pingle (not his real name), who – after a falling-out with Fleming’s party – proceeds to try and sabotage Fleming’s passage out of interior Brazil. The water front, still some way ahead of us, flaunted a solitary skyscraper. All sky-scrapers look foolish and unnatural when isolated from their kind. It is only in the mass, huddled and strenuously craning, that they achieve a sort of quaint crude dignity. Alone, cut off from their native background of competition and emergency, they appear gauche and rather forlorn. With this one it was particularly so. Ridiculously at variance with all that we could see, hopelessly irrelevant to all that we imagined, it had the pathos of a boor. It domineered without conviction, the totem of another tribe. It knew itself for a mistake, an oversight, an intrusion. It was like a bag of tools left behind, when the curtain rises, on a stage set for romance. Later I was told that during the last revolution they threw a full-sized billiard table out of a window on its fourteenth floor. Then I forgave it. Where that sort of thing can happen to them, there is a place for sky-scrapers. The book was published in 1933, so there were a few cringe-worthy “of its time” moments; I was particularly appalled by the huge amount of animals killed for sport during the trip. The expedition literally left a trail of dead alligators in its wake. Fleming’s descriptions of Brazilians and the interior tribes are not entirely free of ignorance, but these passages are not in “white man’s burden” territory either. The amusement he derives from his adventures in a foreign land is, more often than not, at his own expense. At times, Fleming’s cultural allusions were too British or too early 20th century for me to grasp, but the feeling of immersion in that time and place was well worth any minor confusion. The book has the dry and humorous sensibility of the great comedy films of its era. 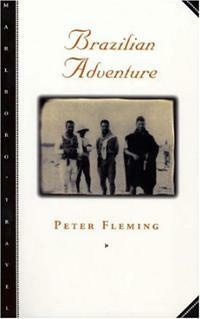 I’ve already added some of Fleming’s other books to my to-read list. I knew that the Freedom Riders had been confronted with violence, but reading the whole account of it, bolstered by eyewitness details, was incredibly intense. While reading, I kept audibly reacting to the events, especially as the government and law enforcement allowed angry mobs to savagely attack the students. One of the first attacks resulted in the bus fleeing the terminal, pursued by the mob in their vehicles. 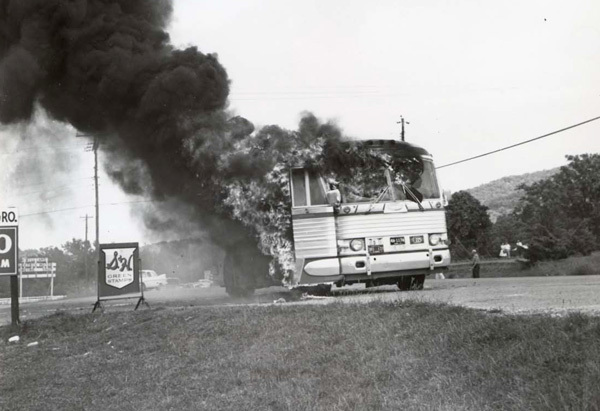 When the bus driver had to pull over because of the slashed tires, the driver ran off, and the mob broke inside and set the bus on fire. 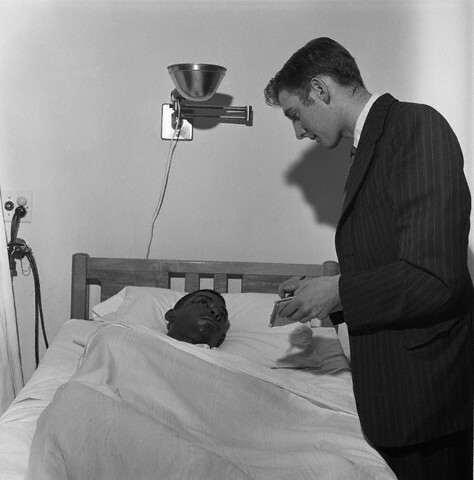 Fortunately, none of the students died but they were beaten and eventually taken to Anniston Hospital in Alabama. They weren’t to find relief there, either. 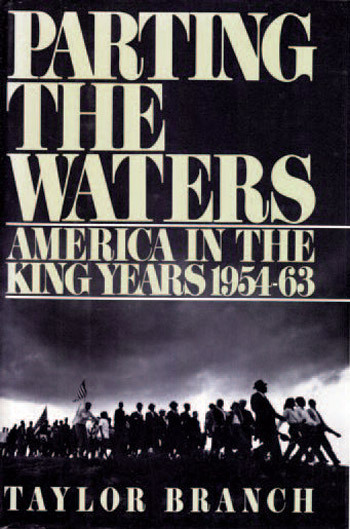 The chapter culminates in a different group of Freedom Riders arriving in Montgomery. Although the Montgomery police well knew that this group would be attacked by a white mob on arrival, there were no cops in sight when the nineteen young activists (seven women, twelve men) disembarked the Greyhound bus. 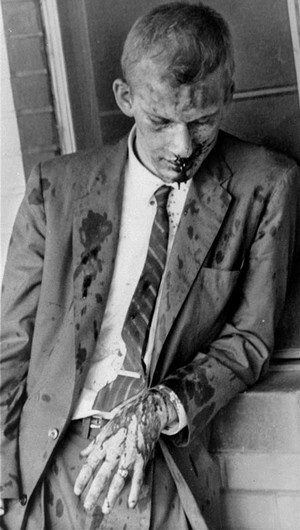 As Freedom Rider John Lewis began to speak to the reporters gathered there, a large white mob attacked the students and the pressmen. Amid the violent chaos, the riders managed to place five of the women in a taxi. Meanwhile, John Seigenthaler, a Justice Department official working under U.S. Attorney General Robert Kennedy, was in Montgomery, trying to negotiate the protection of the Freedom Riders by segregationist governor Patterson. Knowing the time of the Riders’ arrival, he drove toward the scene and saw Freedom Rider Susan Wilbur being attacked by a crowd of white women. [Seigenthaler] drove up on the curb and jumped out . . . by the time Seigenthaler reached [Wilbur], the crowd of screaming, angry whites jammed in so tightly upon them that he could not push his way to the car’s back door. He grabbed Wilbur by the shoulders, managed to pull the right front door open, and, shouting “Come on, get in the car,” began to slide across to the driver’s seat. He saw in a flash that another white student – Sue Harmann, whom he had not seen before – had dived into the back. Seigenthaler jumped back outside, where people were climbing over his car. “Get in the damn car!” he shrieked at Wilbur.